This UltraSharp model is a decent 24″ IPS based screen that still holds up well today despite getting on a bit. However competition is much more fierce these days and you can now buy IPS screens with fame friendly features such as fast refresh rates and adaptive sync. Still, the Dell’s excellent image quality, as always, is notable and makes this worthy of your consideration. 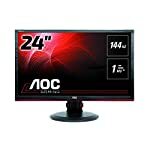 What sets this monitor apart is the 16:10 aspect ratio with a 1,920 x 1,200 resolution. Whilst you would still classify this as HD you actually get an extra 120 pixels on your height. In effect, this screen is a little squarer than a typical 24″ wide screen monitor. Is this useful? Well actually it gives the monitor a less cramped feel, you get an extra inch of height or so, allowing you to keep the Windows task bar open perhaps. You might want to check out the newer U2415. Whilst offering similar quality the updated model had modern connectivity and a few improvements. 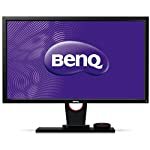 This model does come in an alternate colour, so if you are looking for something other than the standard black look that most PC screens conform to then the smart looking silver U2412M might be what you are looking for. Dell screens have a reputation for good quality and this one doesn’t disappoint. The Dell comes with a full range of ergonomic adjustments including almost 5 inches of height gain. The stand is solid and fully adjustable. You get to chose from D-SUB, DVI and DisplayPort sockets. But no HDMI. Professional reviews have given the thumbs up to the Dell UltraSharp U2412M noting the excellent colour reproduction and brightness. Pro gamers might want to look elsewhere for faster refresh rates and adaptive sync technologies but real owners report back a satisfactory gaming experience, citing the excellent image quality. We give the Dell UltraSharp U2412M a 4.5 out of 5 rating. Want to know what existing owners of the monitor think? You can read real user reviews here. 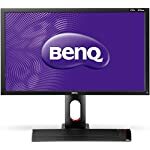 Should I buy the Dell UltraSharp U2412M? The Dell UltraSharp U2412M is a 24" IPS monitor that runs at 60hz. As you might expect from Dell, the image quality fantastic. What sets this screen apart is the 16:10 aspect ration that gives you a little more height and a little less width. 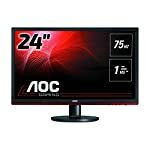 If you prefer a more square monitor then there aren't many options these days so this is worth consideration. If you are having some doubts about this purchase then why not read some real owner reviews and see what other buyers think.